Martin Bean is Vice Chancellor of The Open University, the UK's largest academic institution and a global leader in the provision of flexible and inspiring learning. He is the fifth person to lead the institution in the four decades since its creation in 1969, in which time it has provided quality, innovative, accessible education to millions. Before joining The Open University in October 2009, he was General Manager within Microsoft's Worldwide Education Products Group where he was focused on developing solutions to help the global education community address its challenges. In this role he was responsible for product management, business development and marketing. In 2012 Martin announced the launch of Futurelearn, the UK's first at-scale provider of Massive Open Online Courses. 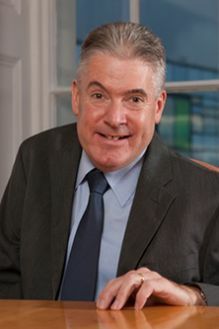 Martin has long been an international champion for the best of British higher education, and in 2014 this work won formal recognition when David Cameron appointed him as one of the Prime Minister's Business Ambassadors. The 49 year old Australian holds a Bachelor's degree in Adult Education from the University of Technology in Sydney, Australia. He now lives in Buckinghamshire with his wife and three daughters. Established in 1748, and now a major independent educational charity benefiting the whole of London, the Foundation takes its name from its founder, Sir John Cass. Born in 1661, he served as Alderman, Sheriff and MP for the City of London and was knighted in 1712. Today the Foundation has links in the nursery, primary, secondary and tertiary sectors of education, supporting its primary and secondary schools in London, as well as the Cass Faculty of Art, Architecture and Design within London Metropolitan University and the Cass Halls of Residence in Hackney, which provides good quality, low cost accommodation for students in London. In 2001, the Foundation made a multi-million pound grant to City University's Business School, which was subsequently re-named the Cass Business School, and continues to provide on going support, to this, and other establishments bearing the name of the founder. In 2008, the Foundation awarded a substantial grant to the University of East London (UEL) towards a new state-of-the-art teaching and research centre which has been named the Sir John Cass School of Education and Communities. This is already one of London's foremost centres for teacher training, and importantly in terms of outcomes, many of its alumni are working in local schools. The Hampshire County Council Cass Foundation Mountain Centre in the Brecon Beacons opened on the 7th May 2014 and is now providing outdoor education for pupils from London. Additional support has been provided to the London College of Fashion towards the women's prisoner education programme at HMP Send (Big Society Award Winner 2014) and the creation of a Social Enterprise at HMP Holloway, which was opened by HRH Countess of Wessex on the 13th June 2014. A new partnership has also been forged between the Foundation and the Baker Dearing Trust, in support of the advancement of technical education, and the creation of University Technical Colleges; and lastly support has also been provided to the Share Foundation to augment Government support for Looked After Children; one of the most disadvantaged groups in society, by investing funds for these needy individuals in Junior ISAs. The Foundation will be launching its own new fundraising initiative at the Mansion House on the 15th September 2014 in the presence of the Rt Hon the Lord Mayor Alderman Fiona Woolf CBE. The funds raised will enable the Foundation to assist both more needy individuals and educational projects.